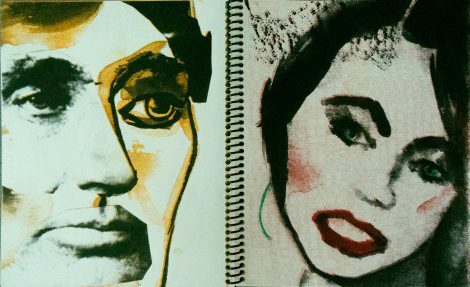 Pam Butler’s work as an artist from her Good Girl Poster project of the 1990s to her work with Beauty Pageants and with iconic paintings of women from the Western Art Cannon has focused on the female and the visual vocabulary used to enforce a female’s expected place in the social order. Her new project, which she has just begun to develop, “Who’s The Prettiest of All,” juxtaposes against this lexicon of the female imagery that denotes masculine stereotypes and masculine social myths. In this pairing she is exploring how the arch of gendered stereotypes and norms serve as a defining and controlling mechanism of the overall culture. This project began its exploration of male stereotypes with portraits of the 45 American Presidents (all male to date). 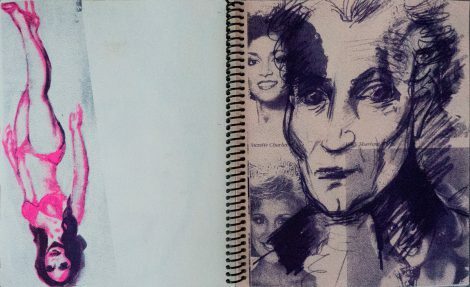 “Who’s The Prettiest of All” works with these portraits of the presidents as the counter to imagery in her “The Miss America Pageant” series which depicts contestants from that pageant circuit. 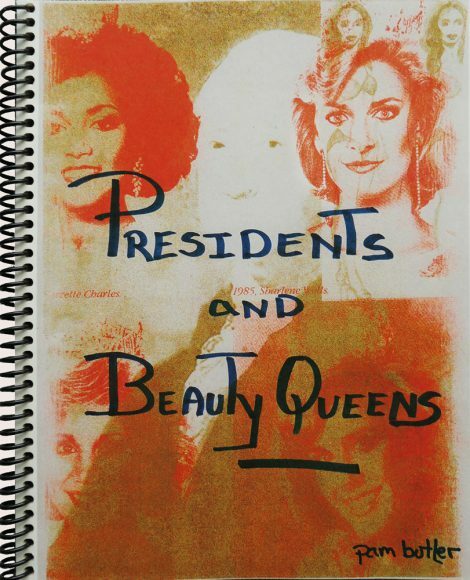 This book, Presidents and Beauty Queens, takes scans of her drawings and watercolors of both the contestants and the presidents and mixes them with found imagery to develop a biting commentary on power and sexuality in contemporary culture.